Dee Brown�s powerful and unforgettable classic that awakened the world to the nineteenth-century decimation of American Indian tribes First published in 1970, Bury My Heart at Wounded Knee generated shockwaves with its frank and heartbreaking depiction of the systematic annihilation of American Indian tribes across the western frontier. In this nonfiction account, Dee Brown focuses on the betrayals, battles, and massacres suffered by American Indians between 1860 and 1890. He tells of the many tribes and their renowned chiefs�from Geronimo to Red Cloud, Sitting Bull to Crazy Horse�who struggled to combat the destruction of their people and culture.�Forcefully written and meticulously researched, Bury My Heart at Wounded Knee inspired a generation to take a second look at how the West was won.�This ebook features an illustrated biography of Dee Brown including rare photos from the author�s personal collection. I listened to�Bury My Heart At Wounded Knee by Dee Brown because the book has been on my Project Fill In The Gaps Challenge and on my To Be Read list for pretty much forever. A little background, I was a social studies education major in college and although my focus was on medieval and European history, I still find Native American history to be fascinating. I am sad that it is usually glossed over and that people act as though Native Americans don’t exist anymore, like come on let’s stop with the other-ing of Native Americans. Furthermore, I am terrible at percentages but my great-great grandmother’s on my mom’s biological father’s side were both full Oneida tribe members, so I am not sure what percentage that would make me. I feel a special, personal connection to this history. Also, to not talk about it or to not be aware of the horrendous way White people treated Indians might as well erase it, and so I want to learn and be educated about it. This book is a start. I listened to this book because it was on sale at Audible and the print in my physical copy is very, very tiny. What’s Bury My Heart At Wounded Knee About? Bury My Heart At Wounded Knee by Dee Brown is all about the history of the mistreatment of Native Americans. It’s about the systemic genocide of Native Americans, because let’s not kid ourselves, that’s totally what it was. This is a book that makes great use of primary sources to show what happened and our shameful history, well if you are American. This is about how treaty after treaty was broken. It’s about how women and children were viciously attacked. The book spans the history of the later nineteenth century. It’s super depressing but you know, necessary information. It made me want to learn more for sure. To be honest, I wasn’t in love with the narration. This audiobook is narrated by Grover Gardner. His voice is very grown up and serious, which is appropriate for the book, sure. However, I had a hard time paying attention. My eyes would occasionally glaze over. Toward the end of the audiobook though, I got used to the narration and managed to focus up until the very end, which is also heavy and sad. I mean, the narration is appropriate and works for the book and I would say if you want something that is dour and serious, listen to this book. Just don’t come in expecting excitement. 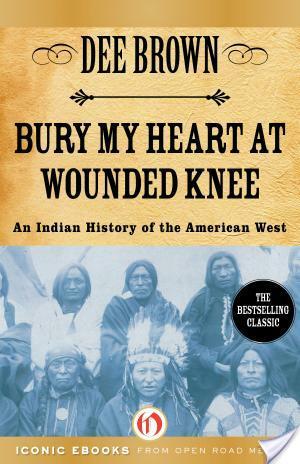 I think if you want to know more about history, both the good and the bad, you should read�Bury My Heart At Wounded Knee by Dee Brown. It’s a very heavy book. It’s not perfect, either. I mean, it’s not written by someone who is actually a Native American. I know there’s not one monolithic perspective or anything, but I am thinking I need to read a book about Indian history by someone who is actually Native American. Also, I think that you should read this book if you enjoyed�A People’s History Of The United States and want more in the same vein, I mean, more history about people other than powerful rich white men. Interesting review! It’s been a long time since I read Bury My Heart at Wounded Knee (high school and college), and it’s probably time for me to revisit it. Federal Indian law was an interest of mine in law school. You raise an interesting point about whether books about certain populations should be written by members of those populations. Books written by authors who identify with the subject matter on a personal level have an authenticity to them. They add an important perspective. I wouldn’t want to detract from the importance of outsider perspectives–if they are fair and well-founded–but it’s certainly a problem that we have so few books written by authors of diverse cultural backgrounds.